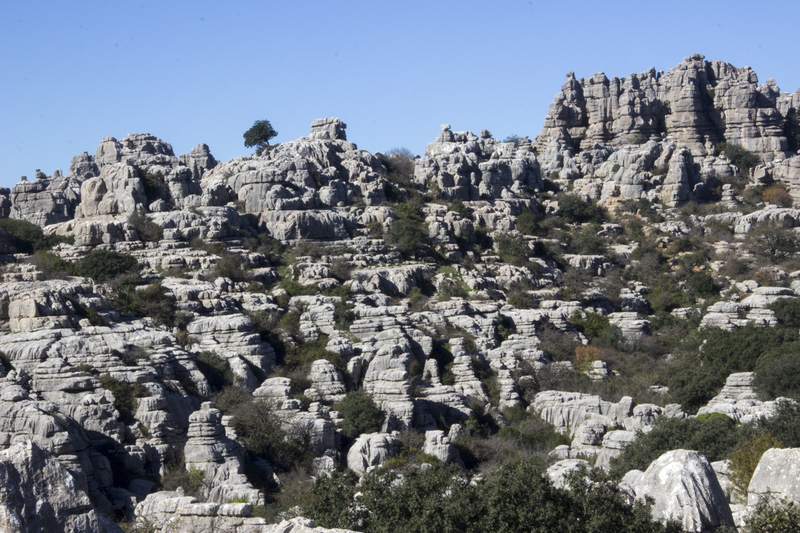 Wander among an alien landscape at El Torcal de Antequera. For millenia Mother Nature has been carving out this spectacular location for you, and it’s located just 16km from Antequera, albeit at least half an hour in the car because the road twists and turns so much. First things first, head to the Visitors’ Centre. There you will find maps on the walls and interactive displays showing you how the area was formed. Most of the information is available in English. There’s a gift shop too if you want to buy a keepsake or two. The sole reason for your visit though is to get out into the fresh air and explore the bizarre landscape which unfolds around every corner. There are two walking routes which are waymarked, but keep your eyes open as some of the signs are easy to miss. You’ll need good footwear and good knees too, so if you have difficulty walking you may be better off just admiring the view from the car park, vistors’ centre and mirador. It’s quite spectacular in its own right, but nothing can beat exploring the footpaths.